On the way out from the dock, we found the fish right at the end of the jetties – nice size strippers! We wacked ’em and stacked ’em and the group said, “We have to go back to DC – let’s go!” So, we did! Thanks for coming and bringing a great crew Don! Appreciate it…come again soon! Congratulations to Ollie and John from West Virginia on their marriage! 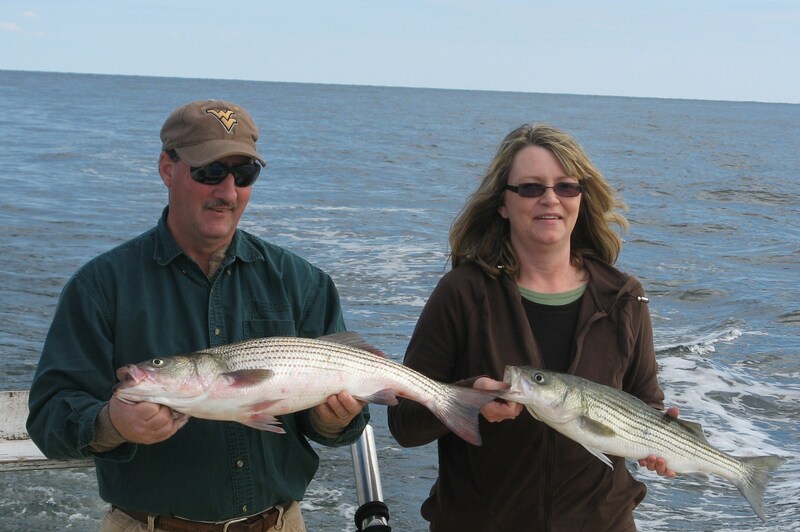 They decided to enjoy fishing on the Bay with us as a honeymoon getaway. We picked them up at Sloop Creek Lodge and we headed out for a picture perfect fall day. 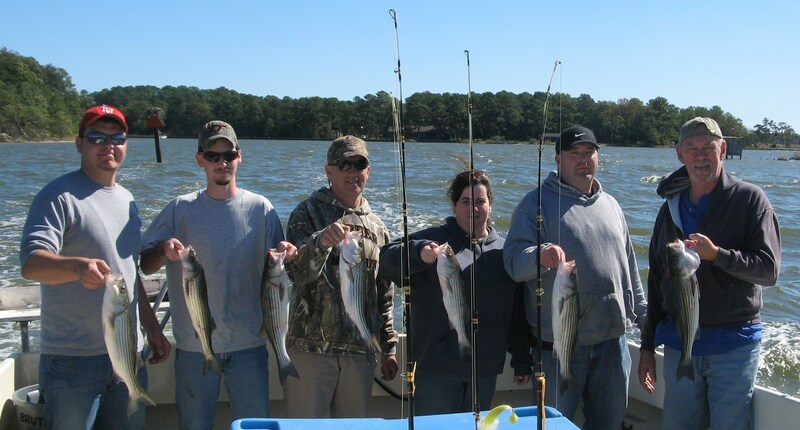 After getting our limit of stripers early, we headed after blues, a little tough. Nice meeting and spending the day with such good folks. Really glad to have Shannon and Steve join us for a trip during their weekend visit. Fishing was wide open out the shoot and they kept busy. The wind picked up so we couldn’t go get our good sized blues but did our best at giving these nice folks a good fishing experience. We appreciated having them fish with us and thank them for buying some of our FAT ‘N HAPPY oysters that we raise (we even shucked a few back at the dock as a sampling) – fish and oysters for dinner…ummmm! Thanks again – appreciate your business! We really enjoyed taking these fine folks on a well deserved day off from hospital duties. Rockfishing was wide open…blues were hard to find. 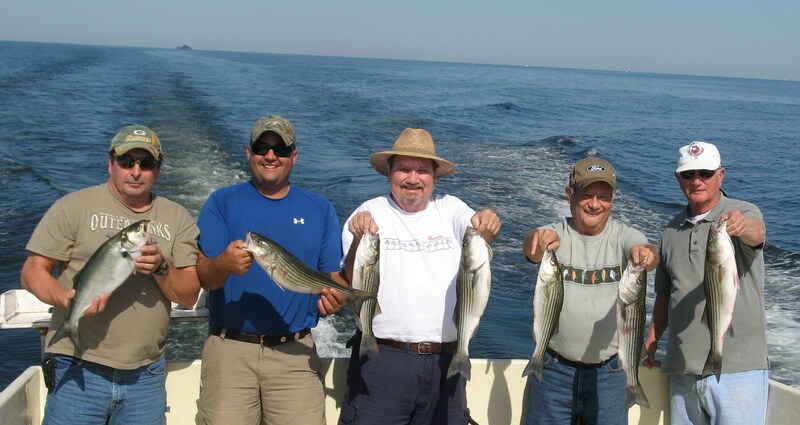 We had a successful day and were glad to see the smiles in addition to a good catch. 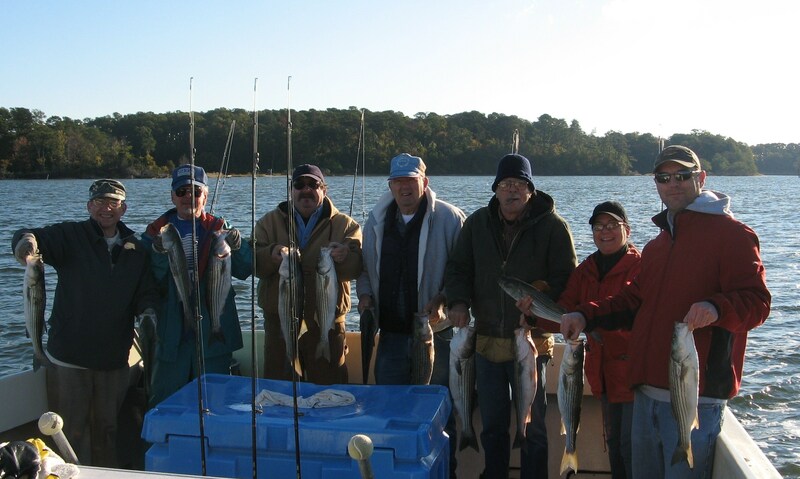 Certainly appreciate them boarding the bus at 4:15am to fish with us – we hope you’ll come again! Thanks. We are fortunate to have the opportunity to help transport school groups who work with the Chesapeake Bay Foundation in learning about the Bay. 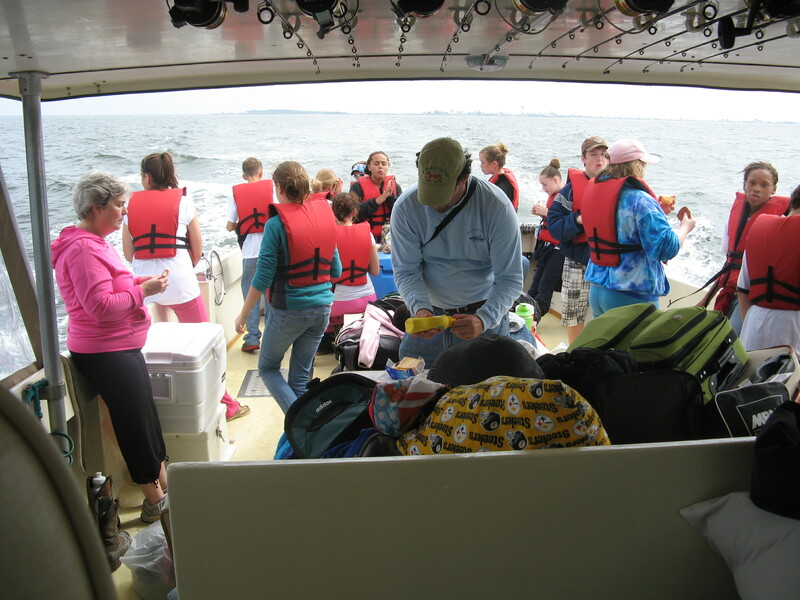 It is always fun to take a group of our local seventh grade students who work with their teacher, Dr. Matt Sisk, on discovering the value of the Bay and the importance of protecting this valuable resource. 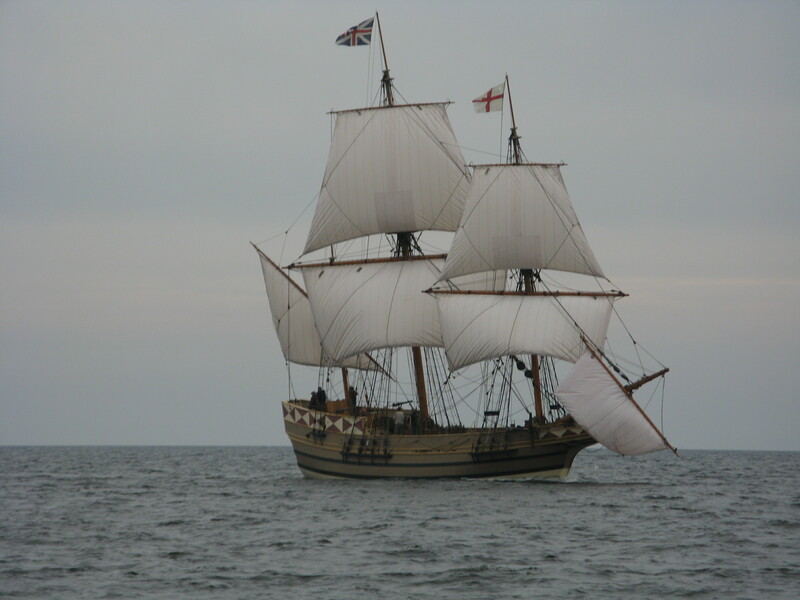 On the way over, we saw the Godspeed heading down the Bay back to Jamestown and took the time to get an closeup view. On the way back, Dr. Sisk, who does a great job at looking after his kids, set out a “sandwich bar” for the kids, who were plenty hungry and a bit weary! You just never know what boat traffic you will see on the Chesapeake Bay! 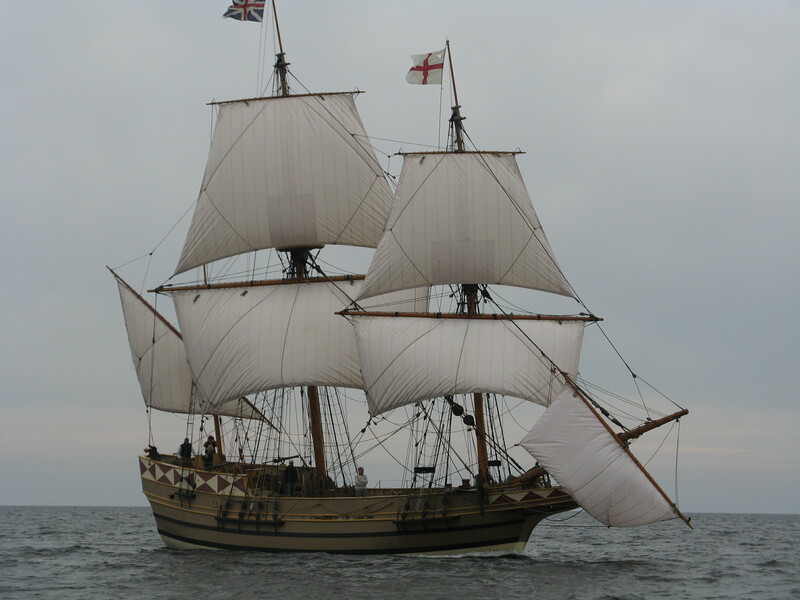 The Godspeed, heading back to Jamestown – what a treat! Always good to have Ric and his party fish with us. Especially good to see his brother Danny healthy and back on the fish. 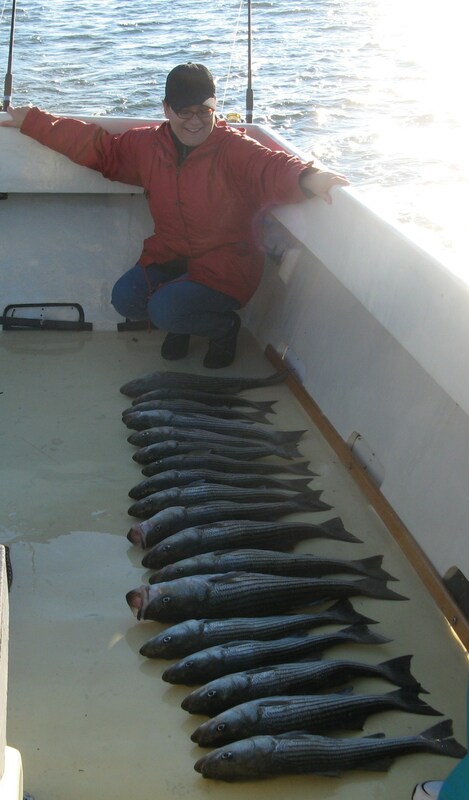 Fishing was a little hard but we were very happy to have these guys aboard – they knew how to get ’em! Appreciate your business Ric.